Ed Gillespie was trashed by nine points in Virginia, Republicans are no longer competitive statewide in New Jersey, Bill DeBlasio gets four more years in New York as (arguably) the nation’s worst mayor and Democrats began clawing back a few state legislative seats around the country. That’s the bottom line from last night’s elections across the country, a result the GOP can’t take much heart in. What to take away from such an outcome? The primary narrative you’ll hear will be that Donald Trump is poison for the Republican Party and therefore the GOP will suffer in future elections. Democrats are huffing about re-taking the majority in the House of Representatives next year, which was their narrative before they went 0-for-4 in House special elections in suburban Atlanta, Kansas, Montana and South Carolina in the spring. You didn’t hear much more about that reportedly inevitable tsunami, but you’ll certainly hear it after Ralph Northam beat Gillespie. Should you believe the tale about the Democrats’ comeback after last night? Should you believe the Trump Electoral Disaster is now underway? The theory here on what happened in Virginia is you didn’t have a Republican candidate all the Republicans could get behind. Ed Gillespie is, by all accounts, a nice fellow and a reasonably competent operator, but he’s also fairly uninspiring. Gillespie is what used to be called a “country-club Republican,” a species of pol that is rapidly fading out of GOP politics. That strain of old-school get-along-with-the-other-side Republicanism simply doesn’t ignite the passion of GOP voters anymore, an increasing number of whom are very, very tired of being constantly calumnized and name-called by the other side and value strength and ruthlessness over geniality and kindness in their candidates. Gillespie had the latter and not the former. 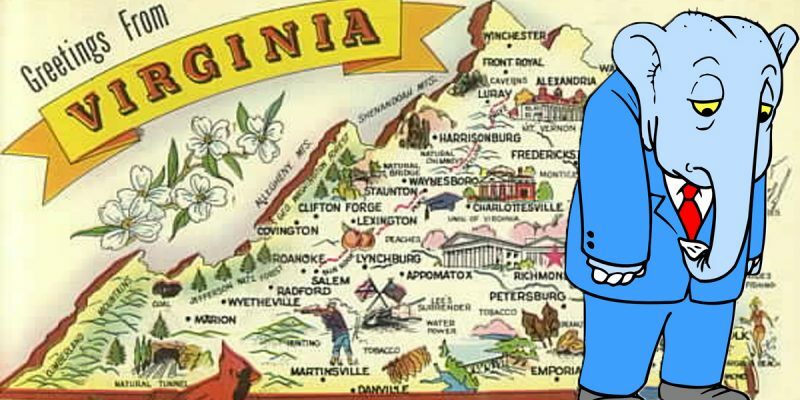 After withstanding a challenge from the bombastic conservative Corey Stewart, who might be a little too strong for a blue state like Virginia, packed as it is with unionized federal government workers and DC commuters who make their living off government, Gillespie attempted to move to the right in the general in order to bring Stewart’s voters home. They should have responded. They didn’t. As such, the Democrats were able to motivate their voters by attacking Gillespie as a Trump clone, which was a ludicrous charge but one which resonated anyway because Democrat voters increasingly hate all Republicans regardless of faction within the party, while Gillespie couldn’t similarly mobilize his own coalition. Thus a near landslide defeat and the loss of Virginia for the time being. And Gillespie’s messaging might as well have been stolen from Bob Dole’s presidential campaign. It was tone-deaf and weak. His team said they ran a “policy-oriented campaign,” but elections in America are no longer driven by politics. They’re driven by culture, and to win elections nowadays Republicans need to make Democrats pay for the Left’s cultural aggressions and the shocking corruption within the Democrat Party. Gillespie did none of that and therefore landed no punches against Northam. Meanwhile the Democrats politically monetized the cultural aggression of importing the Third World into Virginia by running a breathtakingly offensive ad equating nervousness about their project to import an entirely new electorate from Latin America and the Middle East to the kind of racism which supposedly inspires Trumpsters in pickup trucks to mow down minority kids in pickup trucks. It’s not that Trump is an albatross around Gillespie’s neck. It’s that Gillespie brings a knife to a gunfight. Which is why country-club pols like him don’t win elections anymore. Times have changed. You need street-fighters if you’re going to beat the Democrats in contested states. They don’t have to be little Trumps but they do have to be willing to define the opponent and match him insult for insult. That’s what politics has become, and while it’s unfortunate we’re in that place the stakes are no less high. That’s the lesson the GOP had better learn. They’d better get busy in Congress moving the agenda they ran on and gaining credibility with the voters, or else there will be lots of Gillespies going down in federal races next year.